"I do not think it is a question of where, but when." were the words that Charis left my mother with thirty years ago when I disappeared from Meric . . . before I was born. Get The Future Savior Series on Amazon Today! May I Tell You About Someone Else? Hello, All! For my Blog Me MAYbe Blogfest post today I bring you a special treat! We're suppose to share something about someone else so today, I'm posting an interview with the very author I have been gushing about for almost a month now. She writes a stellar series called The Future Savior, a five part book series which features a crazy cool, strong heroine with some seriously boss powers and a drool-worthy, sword-wielding hero, which would make any girl fan herself back into reality. She's here today to discuss her awesome books as well as give away a few copies of the first book of her Future Savior Series: Conception as seen above. 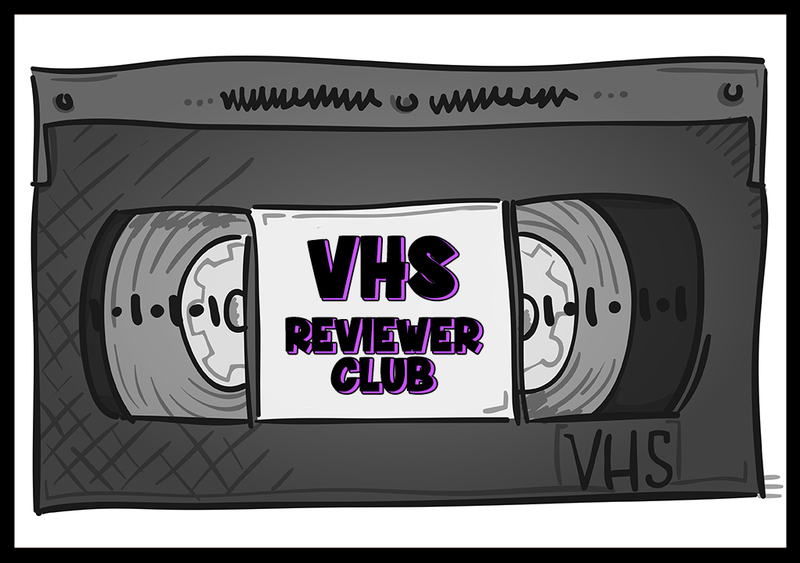 Without further ado, I present you my interview with Jennifer Hartz! 1. Okay, first question, Ms. Hartz. Tell us a little bit about yourself and how you started writing. I've always loved fantasy stories, ever since I was a little kid. In fact, I wrote my very first story when I was about 6-years-old. It was about magical fairies who had their magic wands stolen by evil trolls! Some how I got away from writing... life likes to move us in interesting directions.... but I eventually found my way back. My current commute to work is an hour and a half... one way! My mind would wander and daydream during my drive about a fantasy world and slowly, but surly The Future Savior Series was born! Now I am so excited because this is my last year working!!! I've got just over one month left! Soon, I am going to be a full-time mommy/wife/WRITER!!! I've got sooooo many ideas for different novels and series (mostly fantasy) that I should be writing for a VERY LONG time! 2. Your series, The Future Savior, is seriously stellar and I love the first three books of the five parts that have been released, Conception, Resurrection, and Evacuation. Why don't you tell us a little bit about the story itself overall for those who haven't read them yet. Oh gosh, it's so hard for me to talk about Future Savior without giving spoilers! Basically a young woman, Christina, is mysteriously transported from her normal life to a fantasy world called Meric. There she discovers she has an amazing destiny... she's the prophesied Savior of Meric! She learns that she has unbelievable powers including visions and telekinesis. She also discovers that she has a shape-shifting Watcher (body guard) named Shaw who has been protecting her since before she was born and who just happens to be the most breath-taking, handsome, yummy man ever! 3. 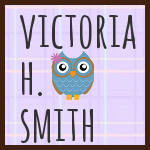 So as many of you out there in the blogosphere know by following my blog, I love a witty sarcastic heroine as well as a tough chick who can fight with the big boys and your heroine, Christina Vaughn, I feel epitomizes both of these elements. Tell us more about her and how she came to be. To tell you the truth, there is so much of me in Christina. I wanted her to be as realistic as possible since the things happening to her were soUN-realistic. Whenever something happened to Christina in the story, I would say to myself, "Okay... what would I do if this were me?" In real life I'm sarcastic to a fault (it actually gets me in trouble!) and I'm extremely competitive. That's totally where Christina gets her personality. At least that's how Christina started... however, as the story grew, she sort got a mind of her own. Now she's her own awesome self! She's way cooler than I am!!! 4. So here’s the question I have been dying to ask… Where did the inspiration for this swoon worthy, sword wielding, Leviathan slaying hero Shaw come from? The guy seriously makes me melt with every page turn of my Kindle. I know, right? Shaw ***sigh*** As you might know, I get my visual inspiration for Shaw from the major swoon-worthy, mega handsome, drool enhancing, heart pounding (oh I could go on... and I will just a bit) deliciously gorgeous Kellan Lutz. Victoria, please feel free to post as many Kellan Lutz pictures as you can get your hands on... your readers will not mind!!! But for Shaw's personality he's what every woman wants.... at least I think so. He so strong and so protective of her. Which I think is one of the major rolls of men... to protect. Somehow over the years this roll has been diminished, but deep down every woman truly desires her man to protect and lead her. Not only does Shaw protect Christina, but at the same time, as her Watcher, he gives her distance to live her life. Plus he lets her participate in the adventure. Every woman out there wants an adventure! Additionally he is so mysterious, which is just so much fun! 5. One thing I really enjoy about your series, outside of the story itself, is the world it’s set in, Meric. The land itself and the creatures who reside there are beautifully described. How did you go about developing such an intricate world? I have a completely whack imagination!!! LOL! Seriously though, I wanted to make sure the readers could really grasp the picture of things inside my head. I wish I had a better explanation than that, but that's pretty much all I did... described the pictures in my head. 6. This blog features books that twenty something readers would enjoy. Why do you feel your series is great for twenty somethings? I think The Future Savior Series is ageless and I hope that doesn't sound conceded, but I wrote it for people of any age to enjoy. It has the feel of a YA story, but the leading lady is in her thirties and then there's the fact that the people of Meric stop ageing at 33... who doesn't love that! 7. What are your plans for future projects? Oh my goodness! I've got so many!!! Along with writing Future Savior 4: Desecration, (which I'm currently working on now and it's stellar!) I'm about 2/3 of the way through a YA Urban Fantasy. Then, recently, I was also bombarded with one of the best ideas I've ever had! It's more of a Middle Grade, but I can't wait to start working on it! Plus I've got a really nice paranormal romance I'm looking forward to working on soon... like I said before, I've got enough ideas to keep me busy for a long time! Team Peeta all the way!!! He's one of my many loves, including Shaw of course! But maybe that's it... Peeta is all about protecting Katniss and Shaw is all about protecting Christina. Good stuff! Jennifer Hartz wrote and illustrated her first novel, an epic tale featuring winged fairies losing their magic wands to evil trolls, back when she was six years old. She has been a fan of fantasy and science fiction ever since. From the land of Mordor to a galaxy far, far away, Jennifer loves it all. Born in Pittsburgh, but currently living in northeast North Carolina with her amazing husband and beautiful son, Jennifer spends her days teaching, reading, and writing. 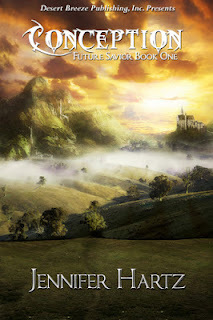 The Future Savior series is Jennifer’s first crack at a novel since the early days of fairy wand heists and she couldn’t be more thrilled with its quick success. Buy Conception, Resurrection, and Evacuation on Amazon Today! Isn't she just great! Ah, I love this woman. And she picked the right team! Make sure to check out these awesome books of hers and enter the giveaway in the Rafflecopter below for your chance at the first in her Future Savior Series: Conception. She's giving away 3, yes 3 copies so there will be 3 winners! Thanks, Ms. Hartz for joining us today! Don't Forget to Fill out the Form Below! Thanks for sharing and for the great interview. These sound awesome! I will definitely have to add those to my "must read" list! I am so glad this series is getting some well-deserved attention. If you're not reading it.. go... go now. It's soooo good. You won't be disappointed and yes ma'am that eye candy...Ah, swoon! You will love them! Thanks for stopping by Samantha! We've discussed that your character pick for Shaw is okay looking before, Jennifer. And he is a nice looking young man, if Shaw is loving and protective that makes the draw better. As for the question about Gale and Peeta, thats a hard one, both of them have been taking care of Kat. Looks like a great series.. possibly something my teens would like too! :) Thanks for sharing the interview and giveaway. Sounds like this would be an awesome read to add to my new Kindle!!!! And thank you for the very, very lovely photos! I haven't ever heard of this series until now but I think that it sounds interesting!!! I hadn't heard of this series until now.Sounds interesting!! The interview is great. I like how she looks inward to balance the fantastical elements of her stories. Plus, I'm usually sarcastic too! I love the "Completely wacked Imagination" of authors!! And Victoria... thanks you for the delish eye candy. Gosh, I LOVE Kellan Lutz!!! OMG I can't believe I haven't heard of this series yet. These books sound amazing, must get hands on asap!!!!! I haven't read any of these books. Would love to win them. As for the "picture inside my head" thing, I think Stephen King once said something about how good description is like telepathy.